Doro Pesch recently released her new studio album Fear No Evil, and Sleaze Roxx’s Ruben Mosqueda had a chance to talk to her prior to leaving for a tour of China. Doro was gracious enough to speak with us even though she was on the mend due to illness from the wears and tears of the road. In this exclusive interview Doro talked about Fear No Evil, her 25 years in the music business and her status as the reigning ‘Queen of Metal’. Talking to Doro is always a blast and this time was no exception. Doro Pesch: Well thank you, I tried to do an album that was like old school Doro, like back in the Warlock days. There are modern elements that people have come to expect from my most recent albums, but I think you can hear that I went for anthems, intros and big choruses like the 80’s. “The Night of the Warlock” is inspired by the 80’s big chorus that you can sing along to and I like “Celebrate” with many guests singing background vocals, we have Biff from Saxon and ladies ranging from Angela of Arch Enemy to Veronica of Benedictum to Liv of Sister Sin. I was so honored to have them singing on the track, it made it even more special for me. I’m happy with Fear No Evil. Can you believe that “Celebrate” was in the top ten in Spain? I have never had a single that has charted that high. I was so surprised and excited, I know as metal musicians we don’t make music to get into the mainstream, but if and when it happens it’s exciting. I can’t wait to hear what the U.S. fans think of the album. Doro Pesch: Well, they weren’t in the studio, we sent them the track and they’d add their vocals in their home studios and send them back to us via email files. Also, for those that collect, there are three versions of that song, one without the guests, one with just Biff and the version you hear on the album. 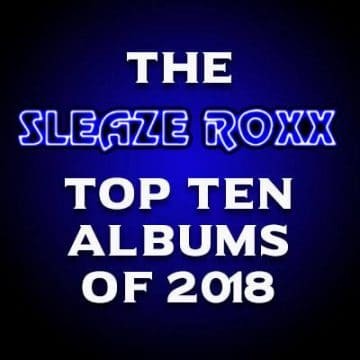 Sleaze Roxx: Being that you are one of the top female metal musicians of this generation, how do you feel the metal scene treated women in the past? Doro Pesch: I think for some women it was a struggle getting the same kind of respect in the music business as men. However I found it not so difficult getting respect, from not only from the guys who I played with in Warlock, but other musicians at the time. If that helped, well then I’m glad. Sleaze Roxx: Do you think your work in particular paved the way for more women into metal? Doro Pesch: I have been told this before by many women, but also from many men as well. If my music has encouraged other women to get into music then form or become part of a band then good for them and that makes me happy. You know people come up to me after the shows and give me their demos and ask me to listen to them and let them know what I think. There are some great musicians out there and if I have influenced them then that is great! Sleaze Roxx: Do you considered yourself a metal icon? Rob Halford has embraced the term Metal God in recent years. Doro Pesch: (Pauses) Well, I think it’s a great compliment but I don’t consider myself to be better than anyone else. I do listen to what the fans have to say and I thank them for the compliment. I’m honored that people think that. I remember back in the early 80’s the Canadian singer Lee Aaron was the Metal Queen, I thought she was great. Sleaze Roxx: How did you feel about receiving a nod from your peers when the Warlock tribute album was released? 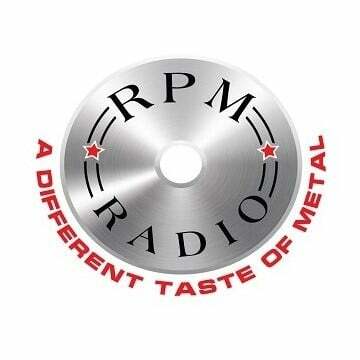 Doro Pesch: I thought it was cool, some of the stuff on there was really, really good. I’m proud that people think enough of the music to spend their time and energy in recording these songs. I was speechless. Sleaze Roxx: How long will you continue in the music business? What would you like to do once you retire from music? Doro Pesch: Well, to tell you the truth I don’t believe in retirement. I think I can do this for another 25 years! I think I will be on stage until the very end. I think I will die on stage; it’s what I love to do. As long as people come out to the shows I will continue to perform. It doesn’t matter if it is five people or five thousand. I have a lot of inspiration from my idols like Lemmy from Motorhead, Rob Halford and Ronnie Dio. They are still on stage, night after night, putting on a good show for the fans. I was amazed; on the tour with Ronnie (Dio) I’d still get off stage, get changed, and run back in time to see Ronnie’s performance each night. It was just amazing how much energy he has and how he still puts on a great performance. I want to be like that. I’d also like to do some film work, not more acting, but maybe helping score stuff for movies. That would be fun. Sleaze Roxx: As you span your 25 year career, what three songs come to mind that you’re the most proud of? Doro Pesch: Interesting question. Let me ask you a question. What are your three favorites? Sleaze Roxx: Well, mine are two obvious choices and one not so obvious. I’d have to go with “All We Are” and “East Meets West”, the reason being that they are great songs, in fact the whole Triumph and Agony album is fantastic. That’s the first Warlock record I bought and it was where I discovered the band. I can still remember seeing “All We Are” on Headbanger’s Ball and going, “wow this is awesome, and they have a female singer!” The third choice is a song that you didn’t write. When I heard that you were working with Gene Simmons on the Doro album, you used a song written by Tommy Thayer and recorded by Black ‘N’ Blue, and that was “Rock On.” Your version was grittier and I think it turned out better. 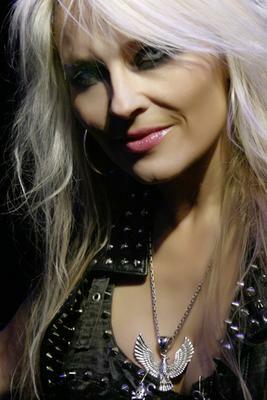 Doro Pesch: Wow! Thank you! I love Tommy, he’s a really great guy. You know, “East Meets West”, we haven’t played that often. If I recall correctly I think we have only played that once, twice, maybe three times live. I like that song too. It’s hard after so many years to just pick three songs. But if I had to choose three songs I’d say “All We Are”, because that’s a song that no matter what country I’m in the fans sing along all the time. Can you believe that song gets requested twice in our set? Yeah, we can play it in the middle of the show and people chant for it during the encore… And yes we play it again! There have been times that we’ve played it three times. Who does that? It’s what the fans want to hear so we give it to them. The next song I’d choose is “Fur Immer”. It’s a beautiful song that has a special place in my heart and I can’t tell you how many times I have heard from fans in person, email or letters that they have used the song in their wedding. I’m touched that fans have done this. My last choice would have to be “The Fortuneteller” from the True at Heart album. That was an underrated song that I really happen to like very much. 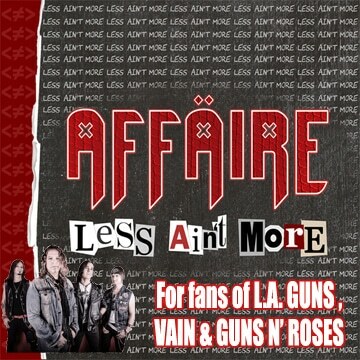 Sleaze Roxx: What are some newer bands that you’ve been listening to or that you enjoy? Doro Pesch: I do listen to new rock and metal music; of course I tend to listen to stuff that I grew up with like Accept, Black Sabbath, Motorhead, Whitesnake and Judas Priest. Oh also I love W.A.S.P. I love Blackie, he’s such a great guy. I’ve followed Rammstein for years, I like what they are doing. I really enjoy Children of Bodom too. I also really like Benedictum, I think Veronica Freeman is a fantastic singer. Sleaze Roxx: I agree with you Benedictum, is an underrated band. What’s the worst gig you can remember? Anything in The Spinal Tap vein ever happen? Doro Pesch: (Pauses) Well, even when I’m ill I give it 100%, I try to give the fans the best performance possible. Even right now while I’m getting over an illness I think some of the performances were good. Sometimes when I’m sick I do longer sets. My manger tells me, “you know you played two hours? You’re supposed to be sick, you can’t be doing this?” It’s just the way that I am. I think years ago we had to cancel a show because we were stuck in a snow storm and we simply couldn’t get there on the bus. We’ve cancelled maybe two to three shows in the last 25 years. On our last tour there was a problem when we got to San Antonio. The club was not equipped to handle the kind of power that we needed to take the gear up on stage. I was told by the road manager, “That’s it, we can’t go on, we’ll have to cancel this gig.” I told him, “You know what, I just spoke to a fan that flew in from South America for this particular show, we can’t disappoint him or the rest of the fans that bought tickets. Let’s improvise and do an acoustic set or strip down the gear and play a show punk style.” Our crew is fantastic and was able to get things patched so we didn’t have to improvise, cancel or short change the fans. Sleaze Roxx: Do you think that online music services like iTunes will eventually replace the CD? Doro Pesch: Well, I personally like the CD, I love having something physical, I love opening a new CD, I love looking at the artwork and reading the lyrics. I think it’s old school, they have taken our vinyl away, though there are selected pressings these days. I understand that not all fans have access to music CD’s and that’s why there are such services. I too think that part of it is the current generation, I think people in their 30’s or older have a different view than kids that are fifteen to twenty-five years old. I know there are fans starved for metal, I have heard this when we finally made it to Russia. I have heard this from the fans in China too. If the internet is the only way to get the music I’d be doing the same thing. I hope it doesn’t replace the CD though, that would be sad. 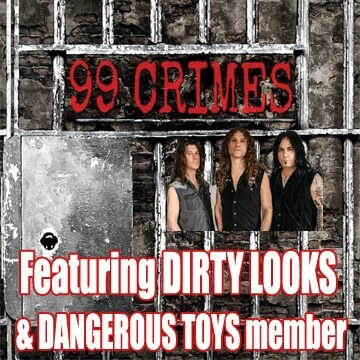 Sleaze Roxx: If you could tour anywhere, which countries which you like to play in? Doro Pesch: I would say places where we haven’t played much or that we haven’t played yet. Like twenty years ago who would have guessed that we would be playing in Russia or China? These fans are rabid about heavy music. I love seeing the looks on their faces and seeing the energy that they give off. Last tour we met two fans who made it to see us from Iran and these guys literally risked their lives to get to the show and to see us. In their culture rock and metal music isn’t acceptable and they could have been killed just for listening to this music. I’d love at some time to play in Iran or Iraq, but who knows if that will happen because of their view of a woman’s role in society. I don’t know, but I’d play there if given the opportunity. Sleaze Roxx: Doro thank you so much for taking the time to answer some question despite illness. One last question, when can we expect to see you in North America? Doro Pesch: Oh thank you for your support. I don’t have dates yet, but since we’re booked to do several festivals including Wacken this year, we weren’t able to get to North America until around September or October. I would have liked to have been a part of Rocklahoma this year, we were approached about doing it, but due to the festivals that we committed to it just wasn’t possible this year. Maybe next year.